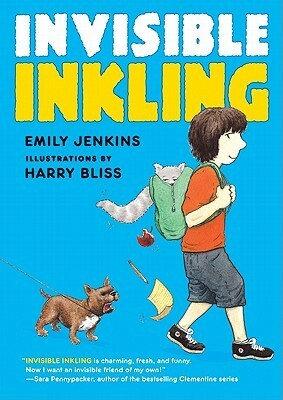 From Goodreads: The thing about Hank's new friend Inkling is, he's invisible. - My daughter was assigned this book for her school's book club. It only took her a couple days to read it, and she said it was cute and funny. I didn't want to feel left out, so I decided to read it too. - Gnome was right. The story was cute and funny. I laughed at several things about the story and the characters. - I want a bandapat friend! He was SO cute! - I like that Inkling didn't solve all of Hank's problems for him. I liked that Inkling gave him confidence and advice, and Hank gained confidence and learned how to take care of his own problems. - I wish I could go to book club with Gnome, so I could hear what all the kids thought of the book.